It seems that if you put 'food and wine pairing' into a search engine these days you will be completely inundated with blog posts and web pages galore telling you which drop goes best with what dish. It's a complicated business. In the interests of making things a bit simpler, and a bit more hands on, I've decided to do some regular posts on the topic, and I might even add in the occasional recipe to try along with some suggested wine matches. I absolutely love cooking, it's totally my 'down time' thing. In my younger years (not all that long ago, I might add), I would spend days preparing special dishes for dinner parties. I held an Indian dinner party for 16 people once, there were 5 curries, all prepared from scratch. I don't get the chance to do as much of it as I used to (thanks kids!! ), but I still get to salivate over recipe books, and occasionally there is a special dinner party, or a romantic evening planned, where I can try out something a bit more complicated than pasta and meat sauce (again, thanks kids...). Anyway, matching the food I cook to the perfect beverage is also a passion. There is nothing worse than sitting down to a cracking good meal, and taking a sip of completely the wrong wine. There can be a massive clash of flavours in your mouth, spoiling what could have been a marriage made in heaven. 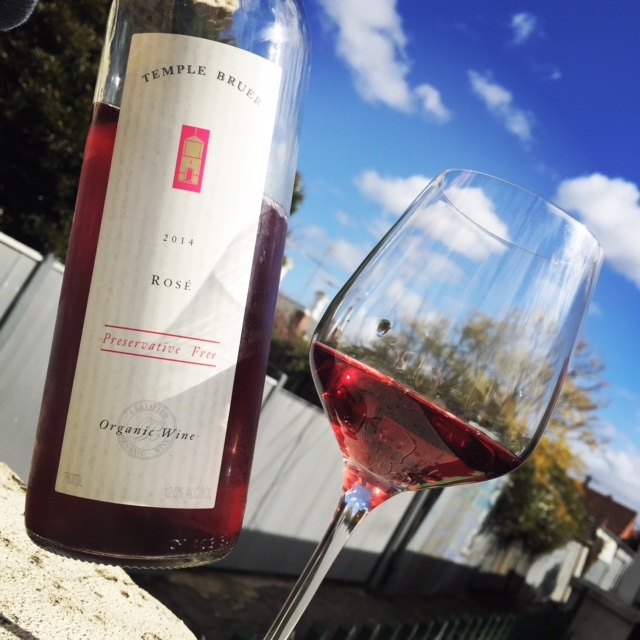 We've got a few Rosés up on our website, and just this week we introduced a great new Preservative Free Rosé from Temple Bruer in stock at the moment. It's seriously awesome, and has inspired me to write about this 'Pink Drink' that is often scorned by those who 'think' they know a thing or two about wine. Now, rose has been given a bad wrap over the years. It has serious associations with 1970s dinner parties, women in platform shoes, gold one piece jump suits, glossy lipstick and overly sweet PINK wine. I'm here to tell you that it's time to put aside old prejudices and look at that pink vino with new eyes. It's versatile to the max, and I'm sure that there will be a style that is bound to float your boat. 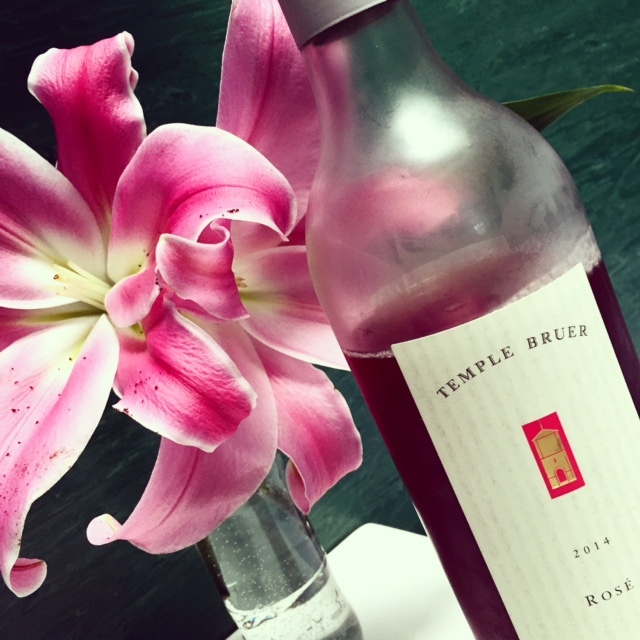 The Temple Bruer 2014 Preservative Free Rosé, is a real beauty. It is awash with flavours of cherry, watermelon and citrus. The crisp palate shows tropical fruit and citrus, fresh pineapple and lime characters. There is a little hint of chalky tannins on the finish and a cleansing gentle acidity. It's a wine of medium weight (and only 12% alcohol!) and is well suited to many Asian foods. I served it up with a curry last night and all were suitably impressed. We've got this for sale from $18.50 on our website. Seriously, do yourself a favour and try it. One word: YUM. So the upshot is, Rosé is not necessarily sweet. In fact, you'd have to have been living under a rock not to have noticed the sheer number of different kinds of Rosés available at your local bottle-o. Just to give you a mini 101 lesson on the kinds of Rosé available, as well as the kinds of food you might serve with them...read on! This style is generally made with Pinot Noir grapes. The closest comparison would be to a crisp dry white like a Pinot Gris. It pairs amazingly well with light meals, salads, a light pasta or rice dish, goats cheese, seafood, shellfish. Basically it is great for summer time drinking. This style is similar that above, but with a touch of sweetness. It is more in line with a traditional rosé from Portugal (Mateus). This pairs well with the same foods are above, but also lightly spiced dishes, like an Indian curry or Asian foods. If you're keen to try this style, we've got a lovely Knight's Templar Rose. Zinfandel or sparkling zin. This kind of rosé is often called 'Blush' . And you guessed it, it pairs well with the above foods including the spicy foods. It also kicks as a dessert wine, provided the dessert isn't overly sweetened. This style is in line with rose from the Spanish Rioja region. It is very accommodating in terms of food matching. It's not overly sweet, and It can stand up to some punchy flavours, like olives, garlic, anchovies, etc. It goes well with a good paella, grilled meats, a charcuterie plate, tapas, pre-dinner nibbles of pate or rillettes. It's a winner. Often Melot based, this is a rosé with many of the same qualities as a good Pinot Noir. It should be drunk with big ticket dinner items like rare lamb, duck, salmon, tuna, or if you're feeling flush, LOBSTER! You'll find lots of these in Australia. And in line with our obsession with Shiraz and flavours that are bold, big and obvious, this Rosé is all that. It's heavy handed with the fruit flavours. It's often served chilled and goes well with curries, Asian food, a barbeque or the like. These are lots of these on the Australian market, and for good reason. They're fun and tasty! They are a great social drink, and can range from dry to medium dry. They are great with nibbles (cheese, nuts, smoked salmon, etc), or can be served with sweet treats like cakes and sweet tarts. We've got a lovely Rosnay Sparkling Vintage Rose for a good price. For really impressing someone! Again, these can vary between lighter and more full bodied flavours and levels of sweetness. This style usually suits canapes, like Blinis and such. A more serious vintage number would go well with game birds. I hope this little post has helped clarify matters for you. Normally I'll include a recipe to match the wine varietal that I'm food pairing with, but there is such a huge variation in styles of Rosé that I could be blogging for hours. I think the info I've given you should be sufficient to lead you in the right direction when it comes to preparing a suitable meal to go with any Rosé. 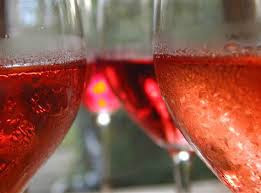 And should you want to try a good Organic or Preservative Free Rosé, please check out our website. Good wine, good value!